I went to The Moth Story Slam in New Orleans last January, and inspired by the first act's stories, I threw my name into the hat at intermission to tell a story of my own. I hadn't prepared anything or even told this particular story in this particular way before, but I enjoyed the opportunity to relive this odd time in my life and giggle with the audience. The spontaneity of the whole thing took the pressure off, and at the end of the night, I won! This year, the winners of all the 2016 Moth stories will be participating in The Moth GrandSLAM on March 22nd at the Joy Theater. I'm nervous and feeling much more pressure now that I have the luxury of time to prepare. The theme is OUT ON A LIMB - come support if you can! Tickets here. I just came across this fascinating Atlantic article about how the way we arrange the plot points of our personal lives into narratives influences who we actually are. The piece discusses the research of several psychologists and researchers. 1. We progress as storytellers from actors (simply going about our lives and playing roles), to agents (working to control our lives and make decisions with desired outcomes), to authors (bundling our ideas about what we want in the future with our past experiences to form a 'narrative self'). 2. There are many different types of narrative sequences - the article focuses on redemption sequences and contamination sequences, which can, at times, be different ways to frame the same series of events with either a positive or negative spin. 3. The types of narrative sequences we tell, and the way we perceive our own agency within these sequences, is linked to our mental health. "Having redemption themes in one’s life story is generally associated with greater well-being, while contamination themes tend to coincide with poorer mental health." 4. The ability to frame our narrative sequences in a redemptive way - where we glean positive outcomes even from negative events - is a privilege. 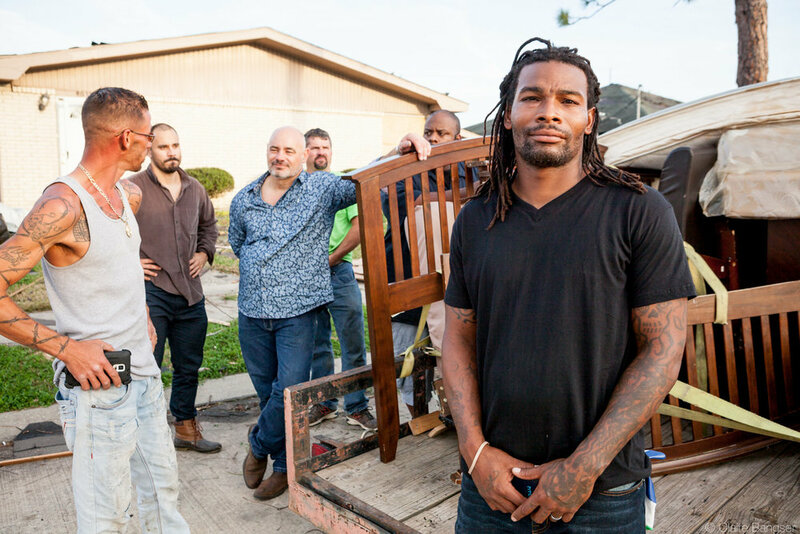 "The redemptive American tale is one of privilege, and for those who can’t control their circumstances, and have little reason to believe things will get better, it can be an illogical and unattainable choice. There are things that happen to people that cannot be redeemed." 5. With the perception of agency in our stories, we also run the risk of making the other characters in our lives 'extras'. This could create a self-perception that we are the most important and that the world is centered around us, flattening others to two-dimensional supporting roles. Bad news. "[...] the act of telling is a rehearsal of the story, Pasupathi says. “And rehearsal strengthens connections between some pieces of information in your mind and diminishes connections between others. So the things I tell you become more accessible to me and more memorable to me." 8. "There is power in rewriting." The way we write and rewrite our narratives can be an empowering exercise that reshapes the way we view ourselves in the world and conveys our deepest principles, morals and sense of purpose to those around us. Right now I'm preparing to tell a true story to an audience of 500+ people at the New Orleans MOTH Grand Slam in March. Doing so requires digging up some new material, and despite all the work and reading I do around storytelling, narrative structure, etc... crafting my own isn't easy! It can be scary to tell our own stories. Doing so requires some deep digging to find the 'plot points' that we don't always like to face head-on. But these depths are the groundwork for identifying our own moments of profound change, redemptive or otherwise, and allow us to revisit our sense of agency in the great big journey. On Tuesday, six tornadoes touched down in southeast Louisiana. 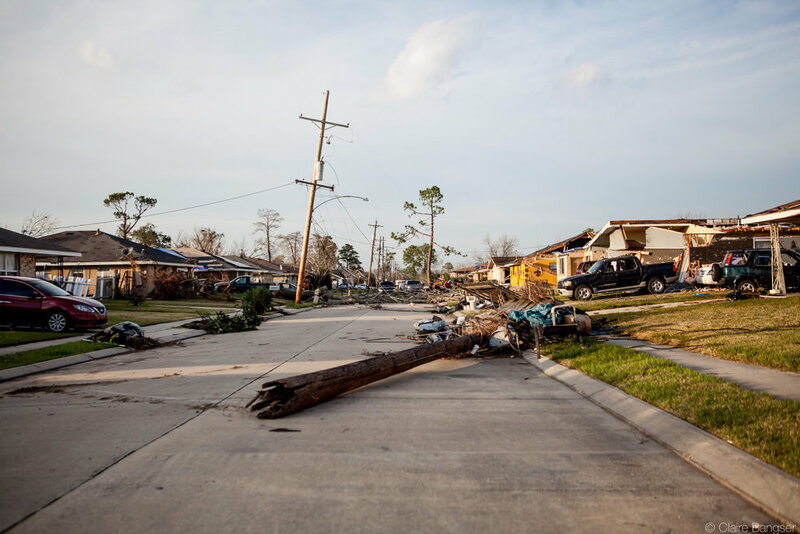 In New Orleans East, a 600 yard wide EF-3 tornado traveled 10.1 miles, causing serious damage to hundreds of homes and businesses, and injuring 33 people, some seriously. 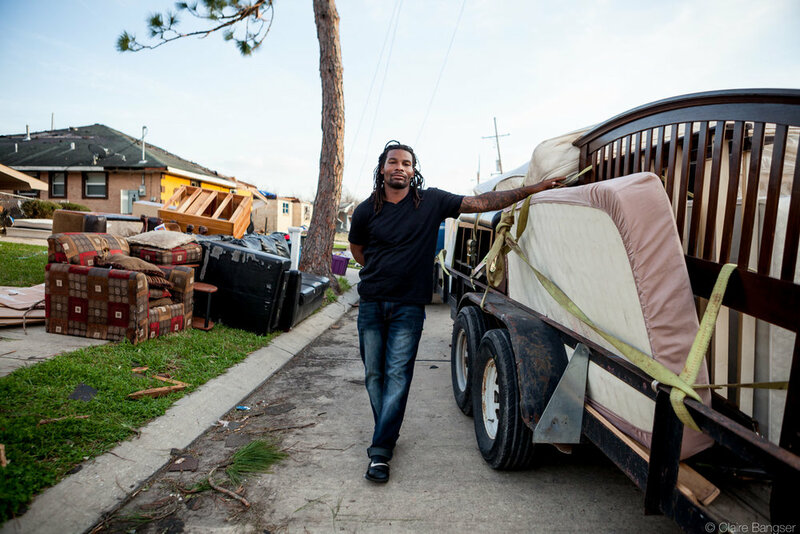 NOLA.com reports that in Orleans Parish, the damage reached 638 houses, 32 apartments, 40 businesses and one school. 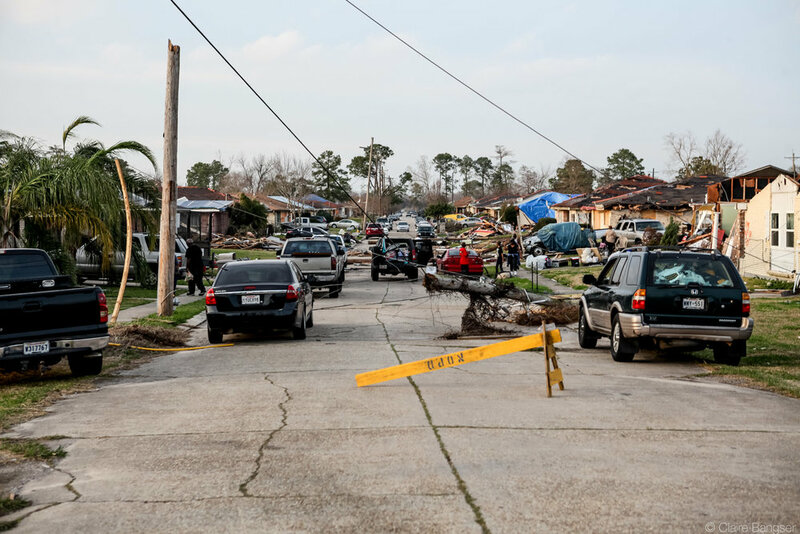 Though the media has been giving more airtime to a snow day in the northeast, and the president's Twitter-whining at Nordstroms, thousands of people in southeast Louisiana are beginning the process of rebuilding their lives yet again. Here are a few photos from Wednesday. Click to view the full images. I shared this video from a Sunday second line on NOLAbeings a couple weeks ago, and received a whole range of loud responses. Many people loved the incredible dance moves and spirit of the video. Others felt deeply offended by the idea of dancing on graves. A lot of folks used the word "disgraceful!" and some commented that it was wrong to post the video - to glorify such offensive behavior (does posting = glorifying?). Those that enjoyed the video reaffirmed the reason I'd posted it in the first place - saying that this type of second lining and back-jumping is so unique to New Orleans culture - and that in many ways it celebrates the dead (like second line funerals). A bunch of folks wrote things like "Please dance on my grave!" What is the role of the documentarian here? As someone who captures and shares stories and events with a growing audience, what is my responsibility to make sure the work I produce shows people and the city in a flattering light? It's hard not to feel at least a little bad when someone is upset by work you create. But at the same time, what a boring life it would be to create work that pleases all the people all the time. For now, I am not just leaving the post up, I am proud of the discussion it has created and the questions is has awakened within me. What do you think?